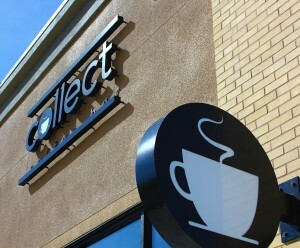 Welcome to Collect Coffee Bar! We are Fresno’s new hang out, date spot, study pad, and business meeting location. At Collect Coffee Bar we believe direct trade, and local. We believe good people, and good coffee! We proudly serve Stumptown coffee, and the valley’s Raizana tea as well as pastries from our local bakeries. So come enjoy our different brewing methods and pick your mug from our wide collection.